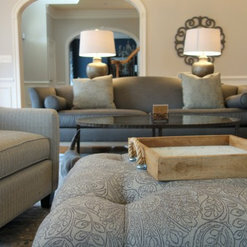 Angelee from Nest interior Decor has been working with me on my new and much larger home for almost 18 months now. I keep thinking of new things to do! She has fresh, new ideas and works with a great balance of keeping within our family's style, but bringing us a wee bit out of our comfort zone to try something fresh and more with the times. :) As I look through the many rooms of my home we've worked on together, some of the pieces I love the best and love to look at are ones Angelee chose for me, that I never would have picked myself. I also really appreciate how she does not let me make a rushed decision to get a room done quickly (I've tried a few times... Ha!). She slows me down and makes smarter, nicer choices even if it means a little more patience on my part. Yet, when needed, she also has shown some serious hustle when we've had a rushed project with a tight deadline. She puts her all into her work and does it right. I've been really wowed by her resources, her eye for design, her work style and it's been fun working with her! I highly recommend Nest Interior Decor. Angelee is a true professional, creative, enjoyable to work with, very responsive, organized and I would hire her for both big and small projects. 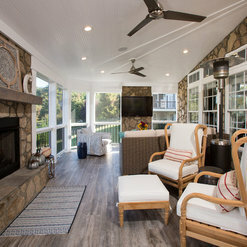 Initially we had some idea about what we wanted, but Angelee helped us expand our vision and then managed the project from start to finish which included changing the color scheme, adding contemporary molding, creating a storage area, and converting a room to an office. It looks beautiful and we love it! Angelee is an absolute pleasure to work with! She is professional, knowledgeable and knows when to listen and when to make the perfect suggestion. She took our vision and thoughts and turned them into reality. We look forward to working with her on many more projects around our home and offer Nest Interior Decor our highest recommendation. Unequivocally five stars! 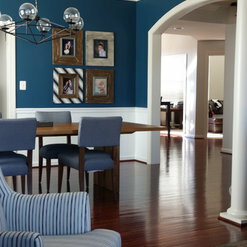 It was nothing but a pleasure working with Nest Interior Decor on our family room and kitchen renovation project. Angelee is fabulous, professional, prompt, and fun. Her eye for design is amazing, and she did such a great job turning our vague ideas into exactly what we wanted. Admittedly we didn't really know our style, but Angelee nailed it! She made our house into a home, and we are nothing but pleased every time we walk into our main living spaces. We can't say enough good things about Angelee. We would recommend her to anyone and will happily hire her again in the future. Her fees were very fair and reasonable...SO worth every penny! We are so glad to have found Nest!!! 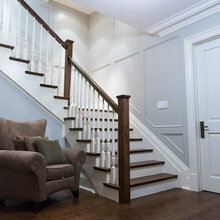 We hired Anglee to select new doors and paint colors for the whole house. The project was a great success, and we will definitely call on her again the next time we make improvements. She is clearly gifted as a designer, but what we appreciate most is how she came to us with open ears and eyes. 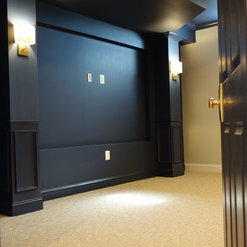 She really listened to us, so everything we shared in the initial consultation was somehow incorporated into her design. And she was respectful of the architecture, so her design highlights the beauty of the structure instead of wrestling to disguise it. She was endlessly patient with our indecision, and helped us find resources within our budget. From start to finish, our interactions with Angelee exceeded expectations. Listens to the client, unlike some designers who believe their opinion is what matters. That said, I needed a designer with a strong opinion and vision for issues I never considered. 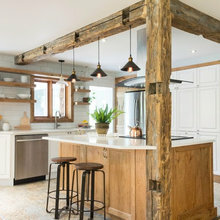 Has been there for me before and thru my long whole-house renovation, helping me tremendously dealing with contractors, and hit my style preferences exactly. I am nothing but pleased. Working with Angelee was a pleasure. She had incredible vision for our spaces and really listened to our ideas and requests. We are so happy with our home! Working with Angelee has been a absolute pleasure. 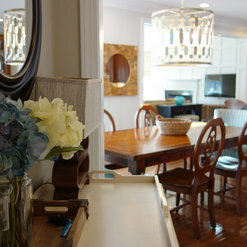 She has an excellent design vision and a admirable level of professionalism. She has worked diligently listening to our ideas and style preference, while incorporating them with her own expertees. Her paperwork is very detailed and professional. She is warm, knowledgable, and creative. Overall, I highly recommend her and I will defenitely use her services for upcoming projects in the future. 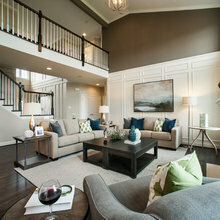 This was my first time working with an interior decorator and Nest Interior Décor made the process very pleasant. Angelee quickly understood our style, budget and timeframes. 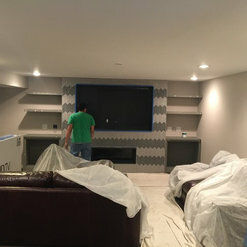 She provided creative ideas and worked collaboratively with me and our contractor to discover the optimal decorating options for our basement renovation. She was patient and understanding throughout the entire decision making process which I appreciated. She was very responsive and helped us think outside of the decorating box. She provided her resources when beneficial for us, but also gave us the flexibility to purchase products independently. She definitely alleviated a lot of stress for me when making decorating decisions. Thanks Angelee! 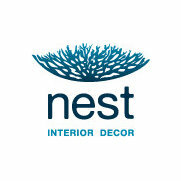 It has been a great pleasure working with Nest Interior Decor. Angelee made the process easy and thoroughly enjoyable. She quickly gained an understanding of my style and vision. She set my mind at ease about choosing the right options, introduced me to ideas I had not considered, and found solutions that both my husband and I could agree on (WOW)! Angelee has always been very flexible, conscious of my budget and very collaborative. 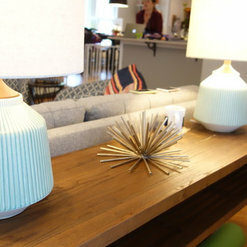 I can’t wait to tackle more home design projects with Angelee and Nest Interior Decor! Angelee has done a fantastic job in helping me with blinds/window treatments for both of my homes. She is extremely professional and knowledgeable and have loved everything we have selected!! She is highly recommended and I will continue to use her in the future. Commented: Countertop Material?Thank you for your interest in our work. 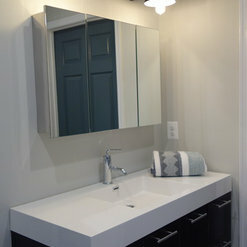 The countertop is carrara marble. Commented: What is the flooring?Hello and thank you! 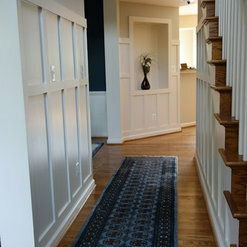 Yes the flooring is Mannington Restoration collection in Leather and we used a 'light walnut' stain on the railing. 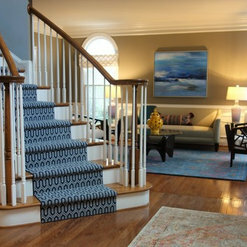 Commented: Where did you buy the rug?Thank you for your note! 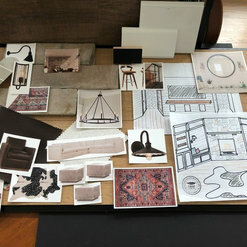 It is the Kala rug from Pottery Barn. 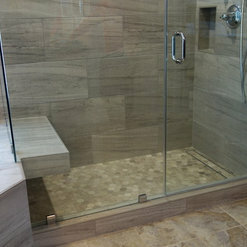 Commented: What color is the grout in the shower?Thank you for your note. The grout is charcoal gray. Commented: It really is dramatic!Thank you!